I'm taking my girlfriend to Prague in a couple of weeks for her birthday. Neither of us can take much time off work at the moment, so it's a short trip - probably there Friday, leave Monday, giving us only the weekend as full days in the city. Neither of us have been there before. We don't want a rushed, touristy, run-to-see-X-then-Y sort of trip, but a more relaxed wander around the city seeing a few really cool, perhaps not well-known things, followed by dinner and drinks at good but cheap / fun restaurants and bars. 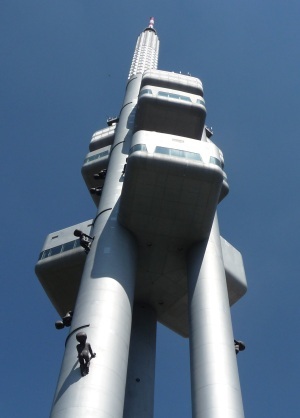 What really cool and perhaps not well-known things are there to see on a winter weekend in Prague? What is a good district to head to for dinner or find a good bar to have a few drinks? I have been to Prague over a weekend once so here are my suggestions based on that trip. I am sure there are much more to consider. Hradčany castle on the left bank of Vltava is impressive and the area around it worth a stroll. 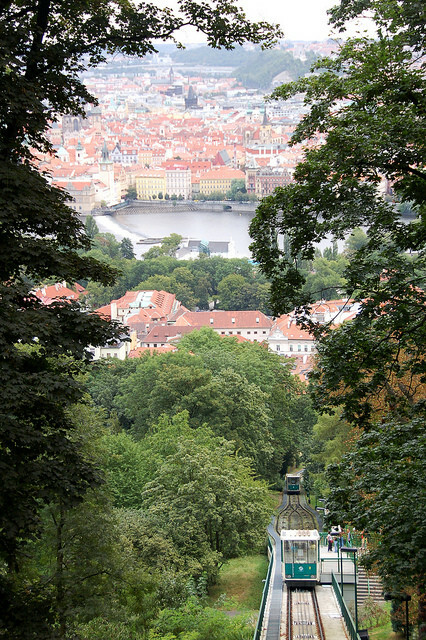 A bit to the south is a park on a hill reachable with a funicular. At the top is an old mirror house. 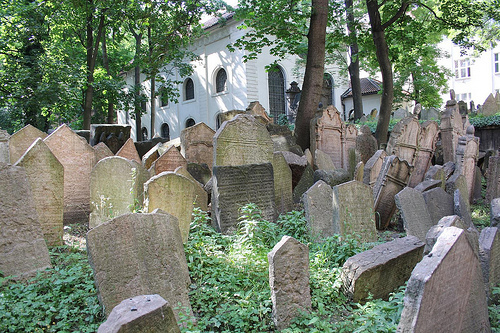 The old jewish cemetery may not be fun but truly amazing and interesting. And don't forget to sample their excellent beer with accompanying knödel. Most of central Prague is full of tourists and its hard to escape them because that's where most of the interesting sights are. It will keep you busy if there are just there for one (long) weekend. After a few days I needed a break from the touristy parts and just walked around in the more residential areas. 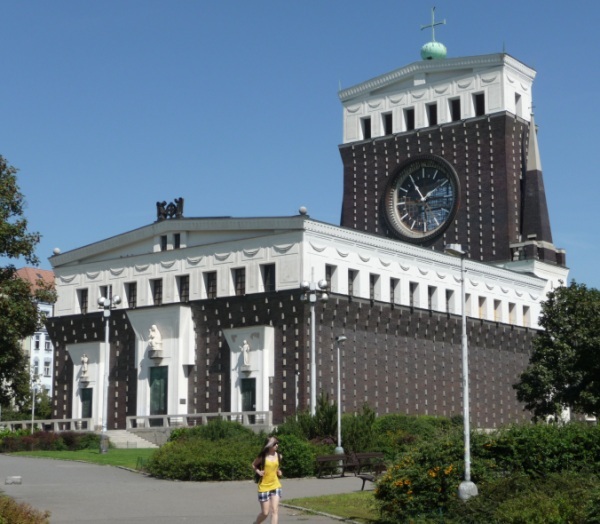 I walked from the bus station at Florenc to Zizkov Hhill with the Jan Žižka monument and National memorial, then up the next hill to the TV tower and on to 'Church of the most Sacred Heart of Our Lord', then down via Nemesti Miru to the Folimanka Park and back to the river. There was nothing super special on the way but it was a nice walk and I saw a different part of the city. There were many restaurants and pubs in the area, much cheaper than the ones in the centre. From the Metronome in Letna Garden, you have nice views over the city and you could walk on to the castle from there. Petrin Hill to the south of the castle has a nicer park but less views. My recommendation for central Praque is to get up very early, say before six to see the sights without any tourists. But I guess in the winter it will also be dark and cold, so maybe that's more a summer recommendation. the Old Town Square (Staroměstské náměstí). If you are lucky to be around Christmas time. Nothing really beats the atmosphere here. Shops with mulled wine, ham, Trdelnik again. I stayed at an hotel (orea hotel pyramida) near the castle, every day I was walking from the Prague castle to the bottom to reach Frank Kafka museum, then crossed the Charles Bridge (get up early there are tons of tourists) then the old town square. 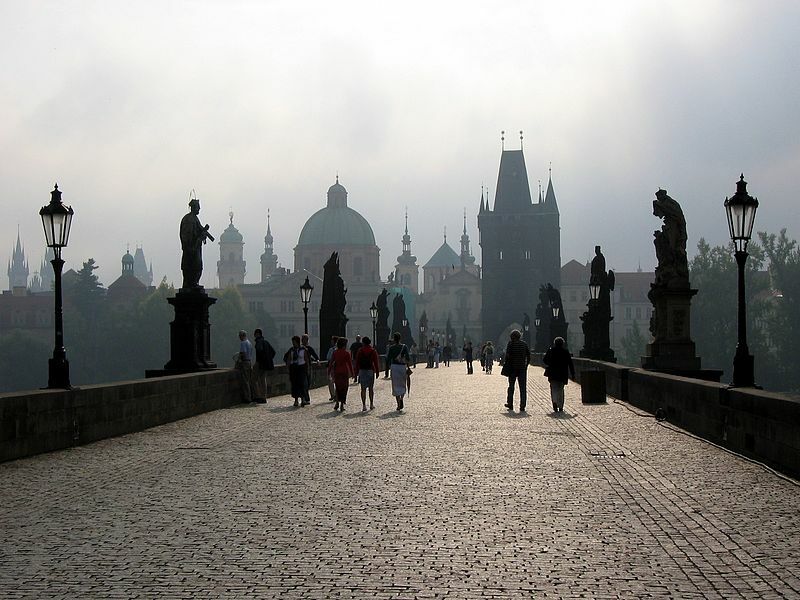 With this walk, you see most Prague sightseeing. Hoping it helps others, even tough the author already went to Prague. I really enjoyed poking around in the indoor shopping arcades just off of Wenceslas square. Despite being right in the city center, they have an 'off-the-beaten-track' feel to them, and are full of many nice little finds. Catch a Czech movie, try to find the stunning Tesla Radio stained glass. Not the answer you're looking for? Browse other questions tagged sightseeing food-and-drink winter czech-republic prague or ask your own question. What are some good ways to find things to explore on-site in an unfamiliar place? What are good design galleries and museums to see in Stockholm? Interesting places to see around (not in) Valencia?